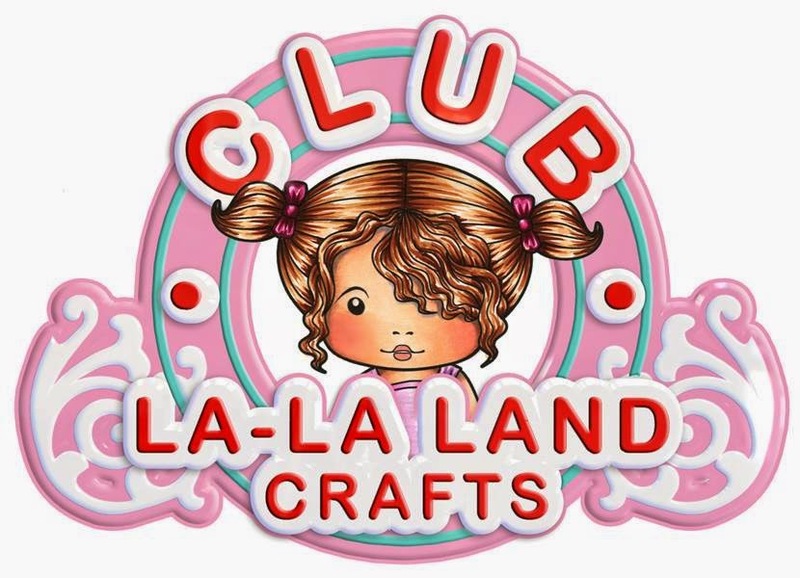 Hello there La La Land Crafts fans! 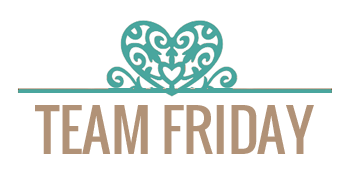 So let's jump right into the gorgeous cards from Team Friday and we hope to get your creative juices flowing! 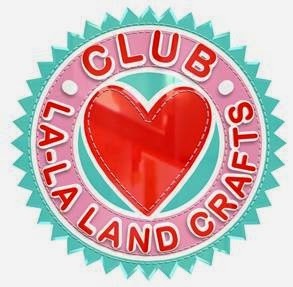 You can play along and join all the La La Land Crafts fun over on our Facebook Page, where you can post all your La La Land Crafts creations and don't forget you can also find us over on Twitter! 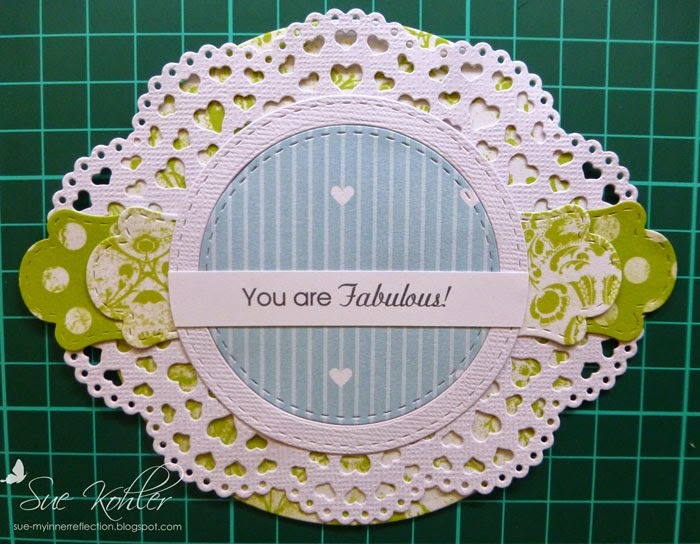 Thank you for stopping by and have yourself an amazingly crafty weekend! 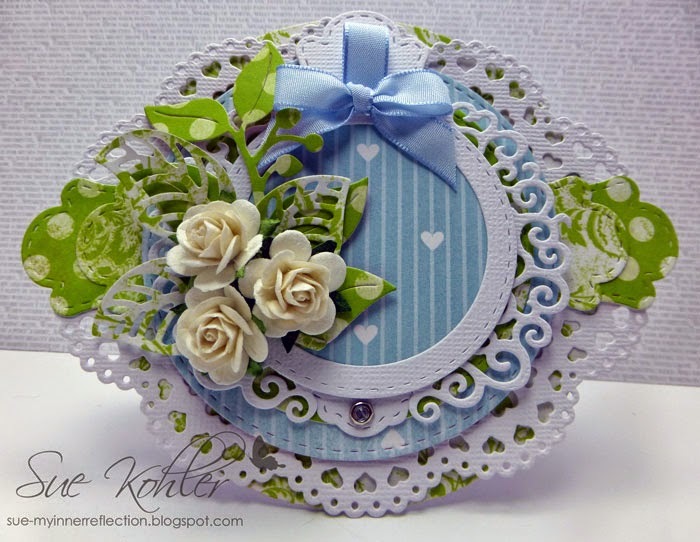 Klaudia here with this weeks Inspiration Wednesday. 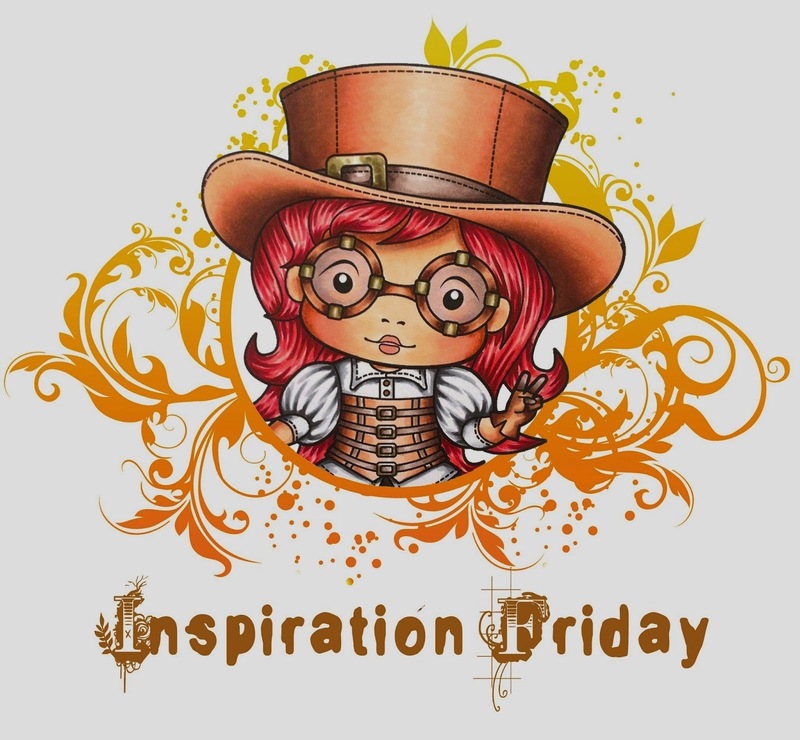 This week we have a sketch for inspiration. 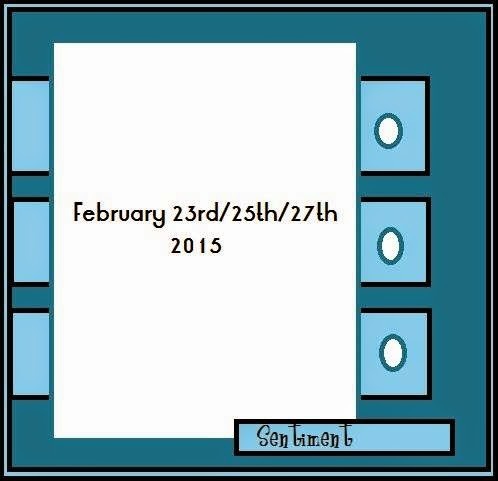 This is my last post as a Design Team member. 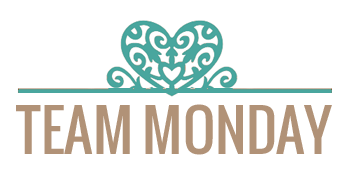 I enjoyed my time and felt truly honored by working with all the wonderful and talented ladies. Thank you so much! 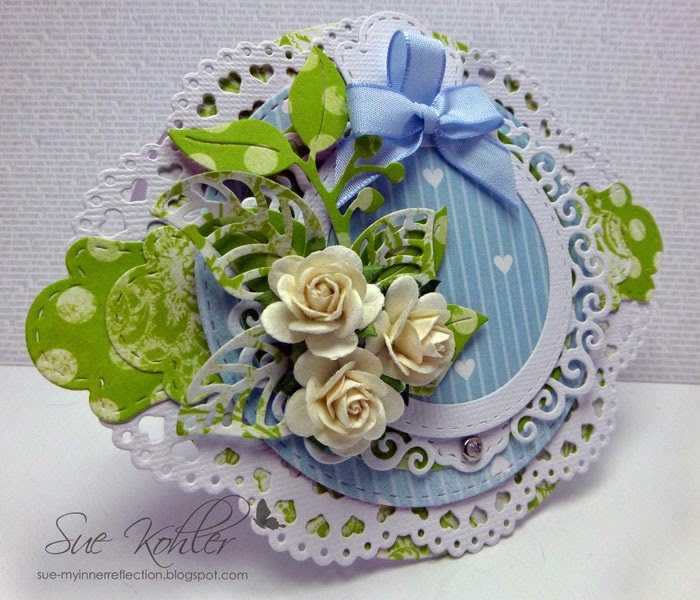 to start your subscription with March 2015 Kit! 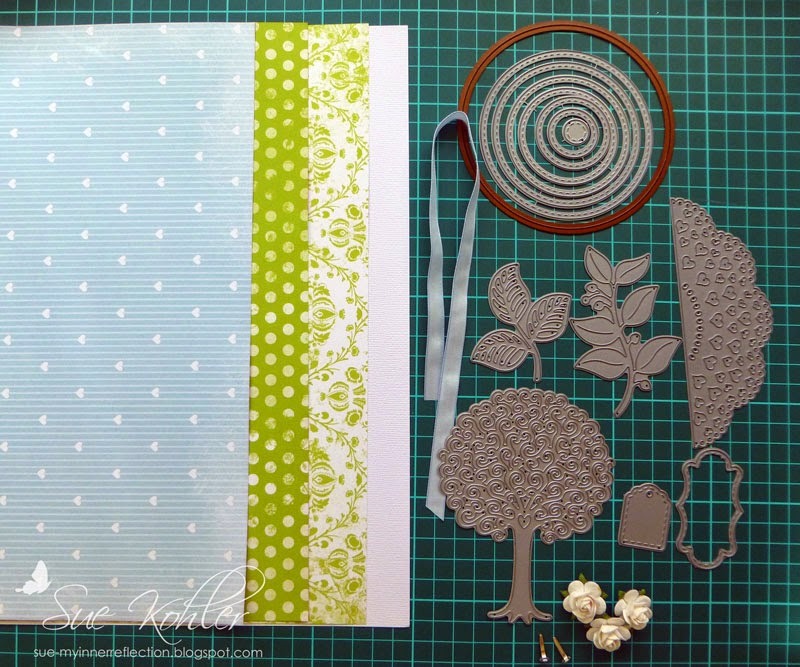 Sign up today to start your subscription with the March 2015 Kit! (super excited gal right here)..!! 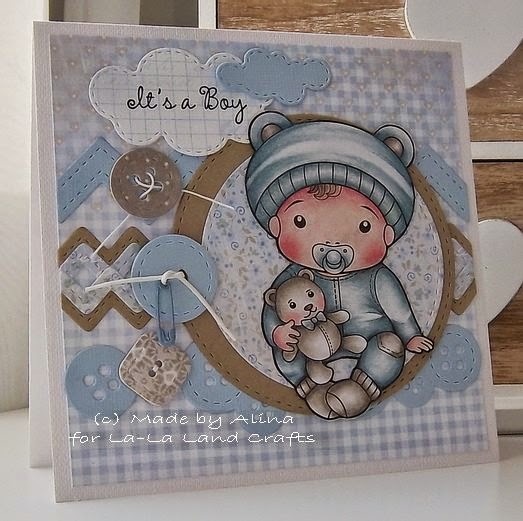 This week we have a sketch for inspiration..
You can also come and join in all the LaLa Land fun at our facebook page too!! Flowers: Prisma Premier PC1019, PC1005, PC1030. 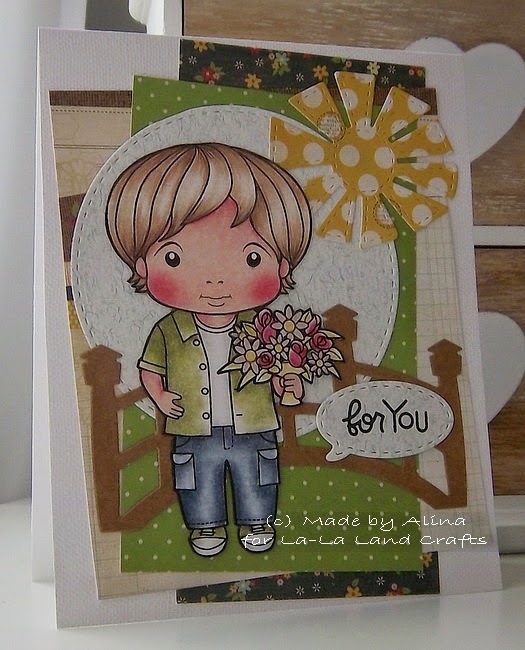 It's Sue here ,welcome back for another La-La Land Crafts Thursday tutorial. 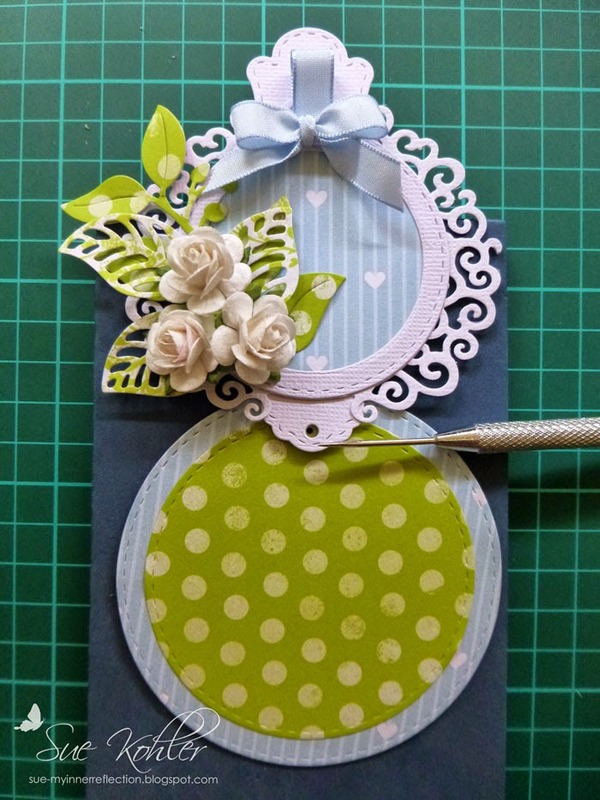 Today I am showing you how to make a Telescopic Circle card, a great card for something a little different! There a quite a few steps but they are worth the end resulting card! 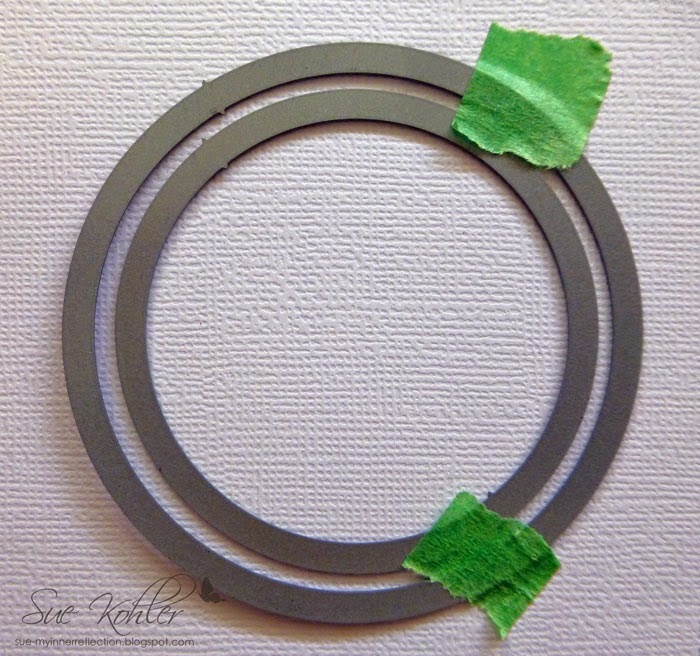 To cut the ring, secure the dies in place with painters or Washi tape, run through your die cutting machine. 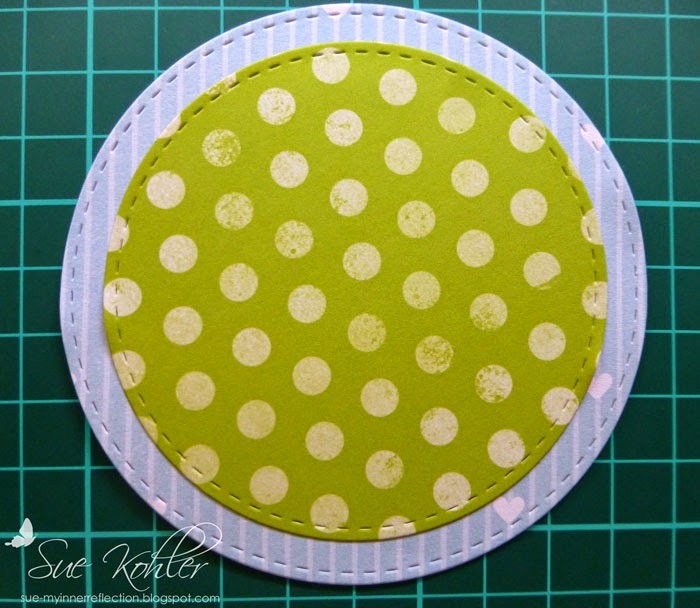 White and Blue 2 1/2" circles, white ring (2 1/2" and 2" Stitched Circle dies). 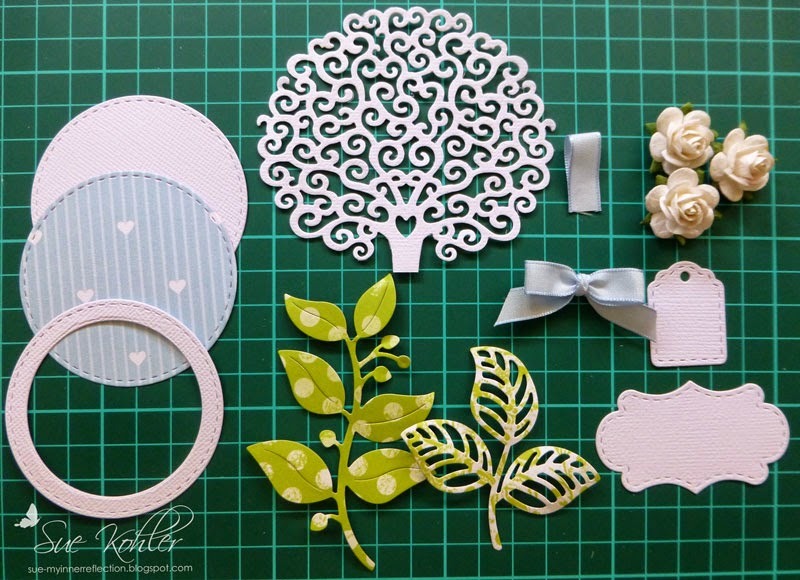 One of each, Berry Flourish, Open leaf Flourish, Heart tree, white Tag, Label. Starting work on the bottom layer. 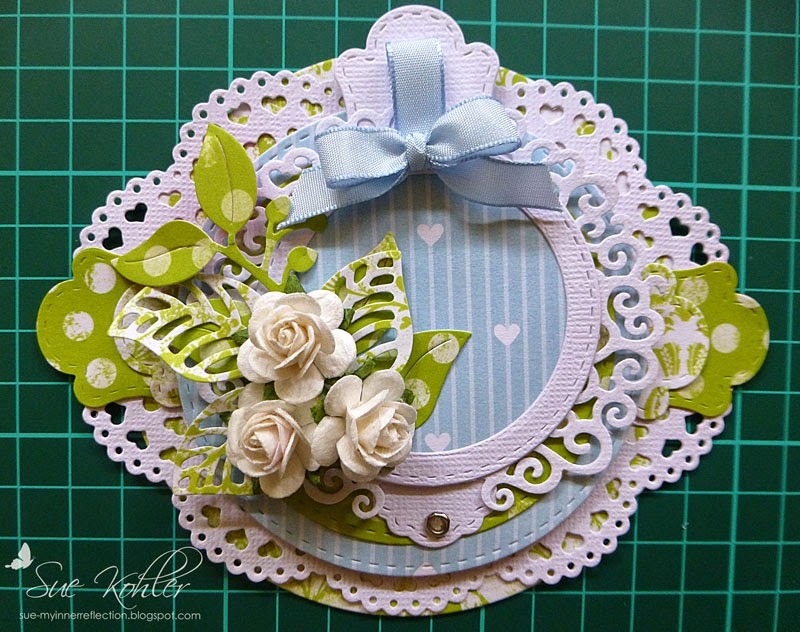 Attach the green circle to the card base, add the Heart Doily borders, the borders should be even with the top and bottom of the circles. 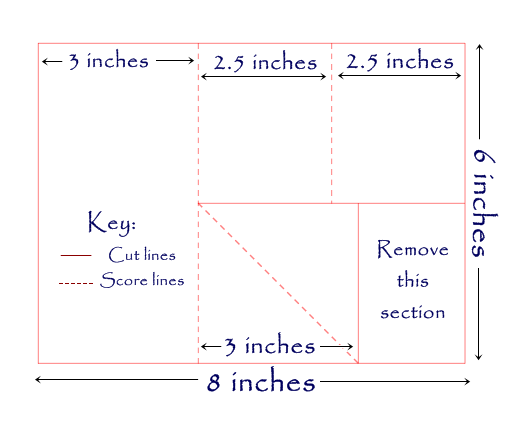 Cut both tabs in half, snip the corners on the bottom on as pictured. 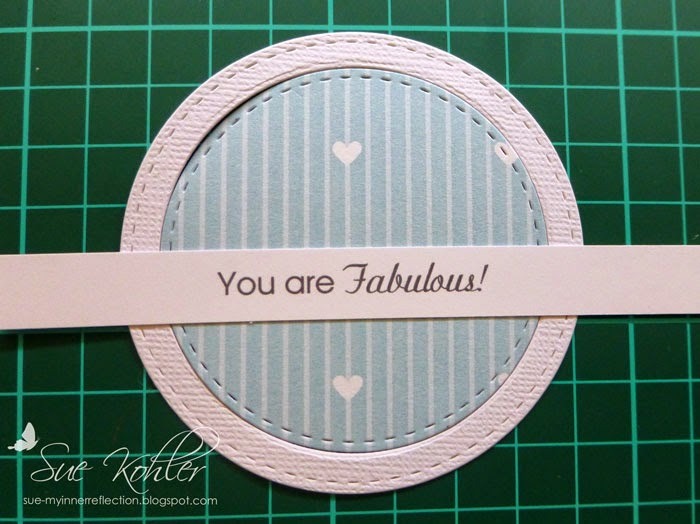 Add the 2nd cut label, layer the circle with double sided tape. 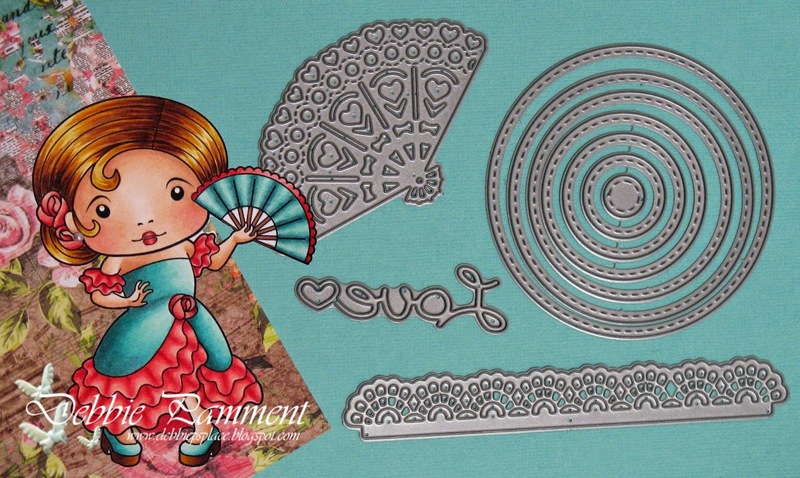 This completes the bottom layer! 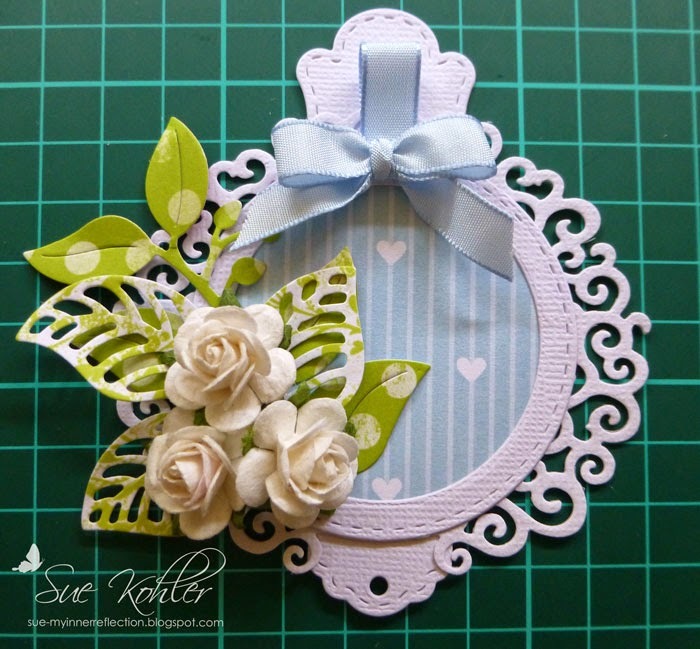 The middle layer is super duper easy! 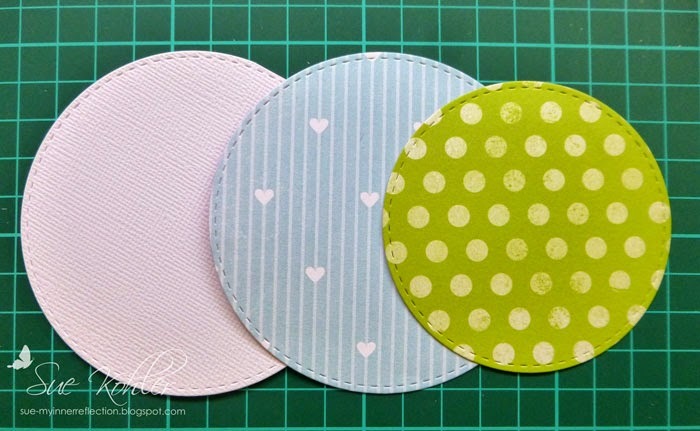 Attach all the circles with double sided tape. Now moving on to the top layer. 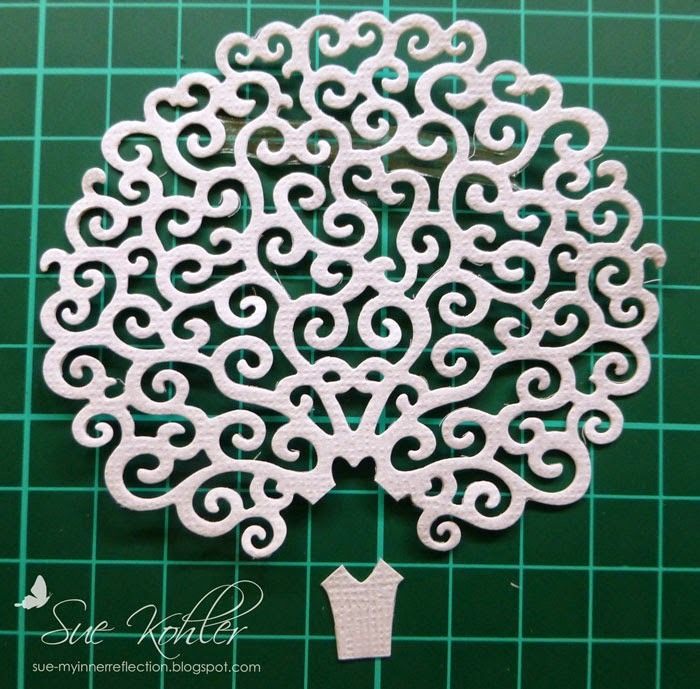 Cut the trunk off the Heart tree. 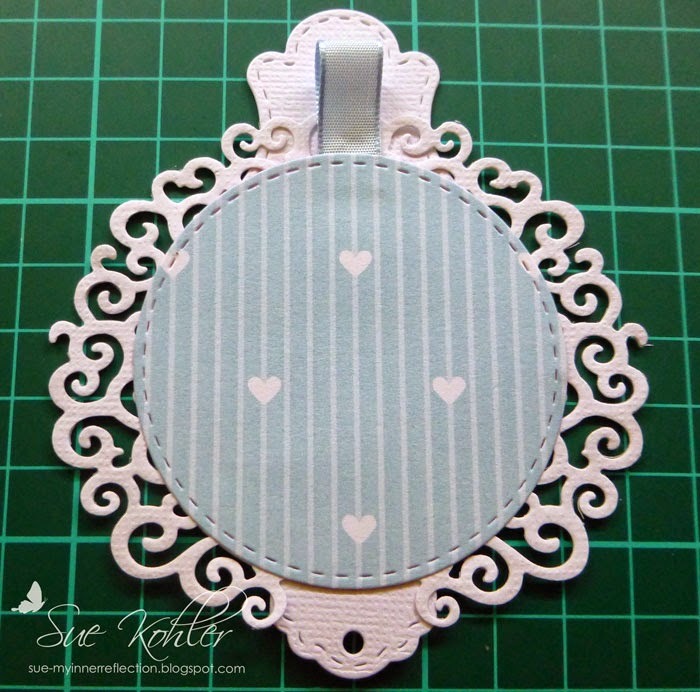 Attach the label and tag to the circle, layer the tree top on top. 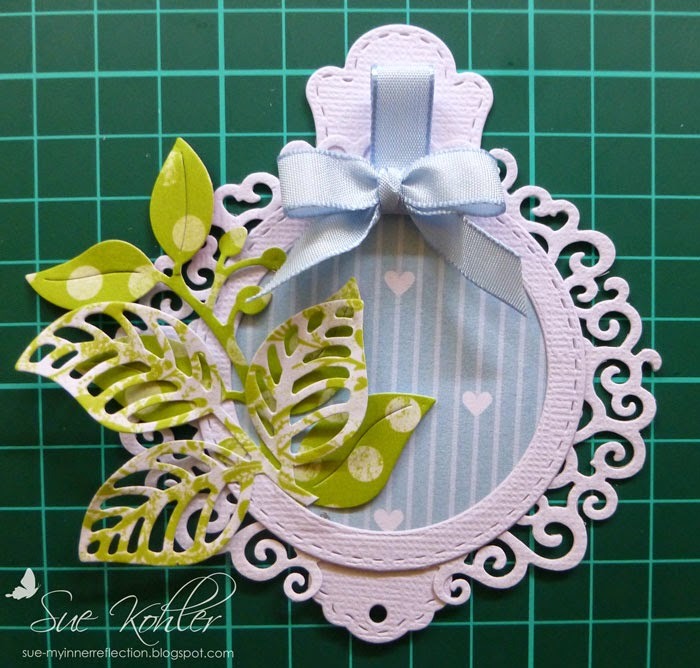 Attach the looped ribbon on the tree, then attach the blue circle. 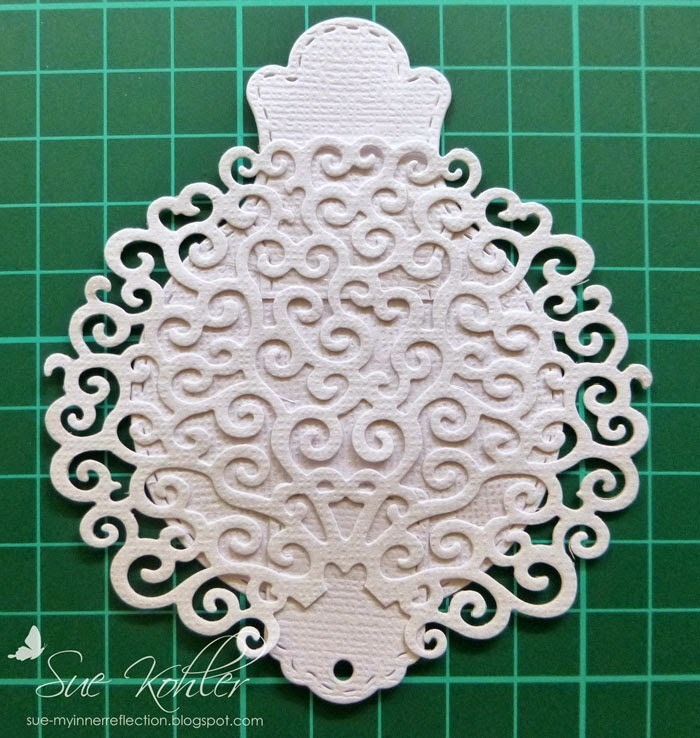 Add the white ring, the Berry Flourish and Open Leaf Flourish (Trim the end). 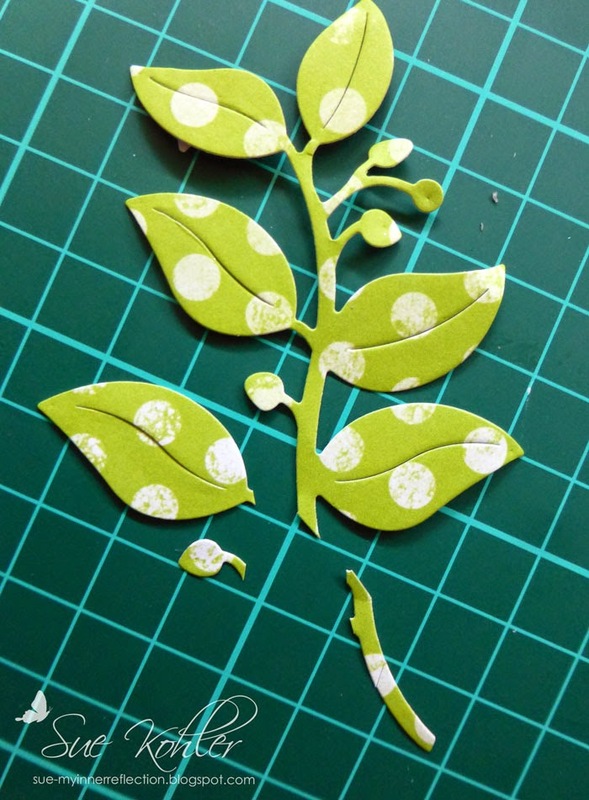 Using the strong glue again, secure the roses in place. 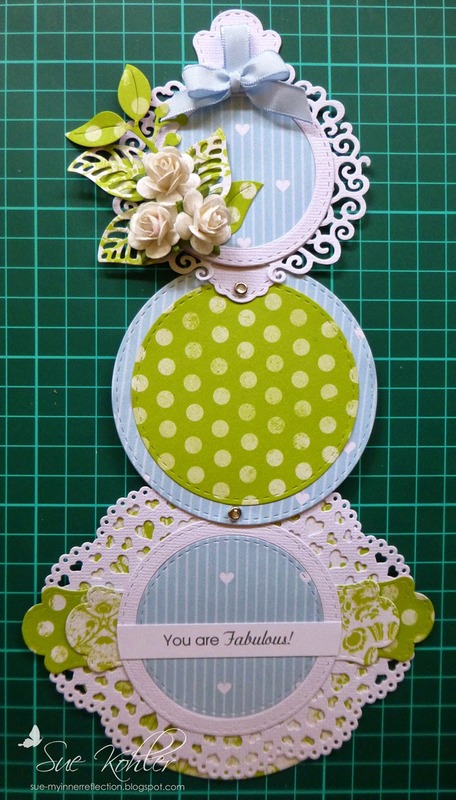 This finishes off all the layers needed for the card. 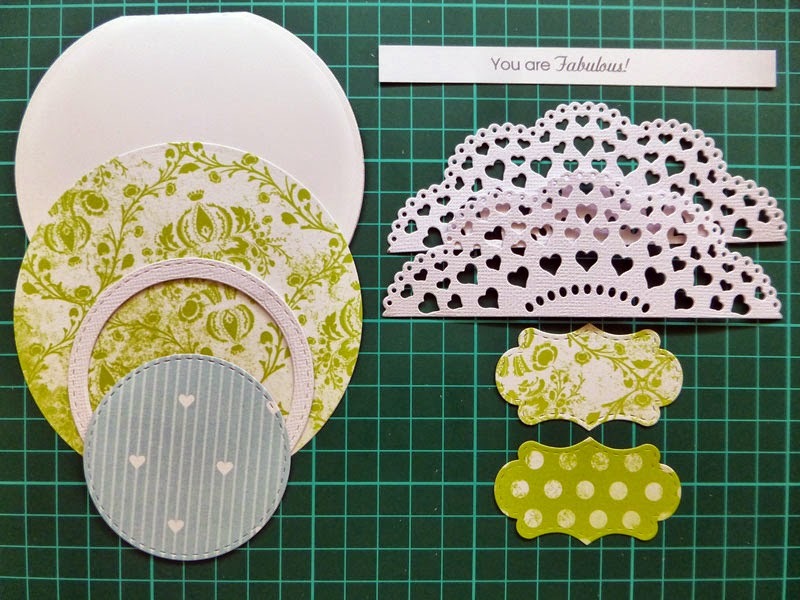 Hope you have enjoyed this tutorial, we would love to see your creation using this tutorial! 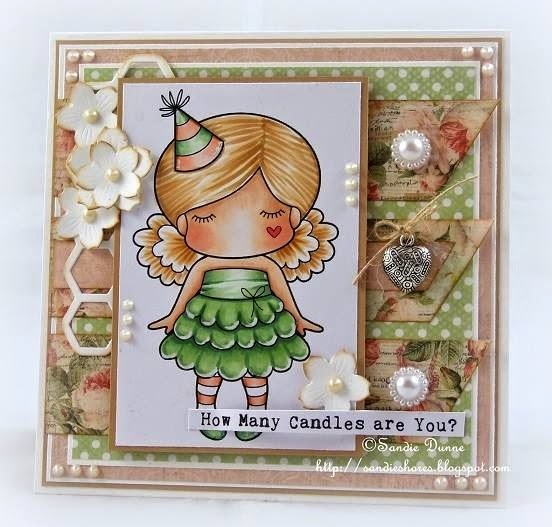 Remember to pop back in tomorrow for more inspiration from Team Friday, showcasing our take on 'Ready for Spring' !